Dogs aren’t so different from humans, if you want them to do something you have to incentivise them: while your praise and appreciation is important to them, a snack or doggie treat always helps sweeten the deal. As it turns out this works both to encourage positive behaviour, such as obedience to commands, and to stop negative dog behaviour. Some dog owners choose to go the route of aversion therapy with dog training: using some negative stimulus with a dog if they do something wrong or something that you don’t want them to; some people say it is basically punishment though this may be a simplified view. Generally though even those who do advocate aversion, such as putting a nasty taste on something to stop dogs chewing or using electric shocks to stop dogs barking, see it as a last resort when positive reinforcement has failed. Some people have success with letting their dog know he or she has done something wrong with a telling off; although this is arguably a type of aversion therapy too. There is yet another complication here too: a telling off only works well if you can maintain your disapproval with your dog to make sure they really understand; some people are simply unable to pull this off. Positive reinforcement, especially using training treats, is controversial too; some people claim this is just bribery and that it doesn’t actually teach a dog anything long term and doesn’t help with their development or obedience when there are no treats on offer. However theories of reinforcement, and some studies, show that dogs who are given treats will learn habits and will continue even without treats, although occasional treats may still be necessary. Some owners and trainers equate treats for dogs to wages for humans to do tasks they don’t want to do for their own good: so expect something in return. Praise is another positive reinforcer, as are actions such as patting and stroking; these signs of approval are important and valuable to dogs too: especially if they see you as their pack leader. Disparagement to stop a dog doing something, including using the command ‘stop’ or perhaps’ drop it’, may need to have a clear tone in the voice and may be accompanied with a certain look your dog will get to know; this can then be followed up with a reward when they do obey. A 2008 study by Blackwell et al (2008) showed that using a positive reinforcement only approach to training resulted in, on average, less undesirable behaviours in dogs than other options including positive and negative reinforcement together and positive reinforcement alongside punishment: suggesting that positive reinforcement is not only useful for teaching positive traits and tricks, but also for avoiding negative undesirable behaviour. In the study these undesirable behaviours included barking, soiling, aggression, chewing, stealing food and chasing things, among others. Having said this, it is important to work with your dog to try and understand the root cause of any negative behaviour, which is often caused by anxiety. Upon finding the problem more specific training, such as socialisation classes, may help, especially with puppies. When to use training treats? Timing is absolutely vital when rewarding your dog: it must be immediately after they have displayed positive behaviour, when teaching a positive trait, such as sit, fetch or stay, then it is easy to do this. When a dog is being rewarded for not doing something, it is more difficult: for it to work the dog must understand the reward is linked to what they did, or didn’t do. If a dog is about to do something such as bark or chew, then you may want to reward him or her when they respond to the ‘stop’ command. One point to be careful of though is that when rewarding a dog and getting them to come to you they may think they are being rewarded for coming to you and not for what he or she was or was not doing before. As mentioned, dog training treats are ideal for use when training a dog to learn positive traits and behaviour such as tricks, and obeying commands. If you take your dog to training classes you may want to take along their favourite dog treats to use: not just when they have done a specific task or action, but when they have done it especially well. Forpuppy socialisation classes you may want to bring along puppy treats too. Treats can be used when out with your dog as well as at home, you may well have problems with negative behaviour in the park and training treats can be used to teach your dog not to do things such as chasing or being aggressive to other dogs. You can use public places such as the park for other training too of course and once you have mastered commands such as ‘fetch’, ‘come’, ‘sit’ and ‘stay’ at home it is a good idea to ensure they work in the park too with so many distractions for a dog. To make taking training treats with you easier try a dog walking, treat carrying pouch. Not only can you use dog training treats as a reward in training, but you can also use them along with toys and dog treat dispensers. The dog treat toy or dispenser itself then becomes a valued possession that you can give your dog, and take away if they misbehave. The treat toy, which could be something like a dog treat ball or Kong toy, also helps keep your dog stimulated and is another way to help with dog behaviour problems linked to boredom as we discussed in a post recently. Won’t my dog get plump? If you are doing training the right way, your dog shouldn’t be eating too many treats, as he should only be rewarded when he gets something right. Dogs are eager learners and, once they learn something, they usually remember it and only an occasional treat will be needed. Treats for dog training should ideally be something your dog sees as a special treat, so not something they would have every day. While some dogs covet human food more, generally, dog training treats should be designed for dogs and could be something like a chew, which they can then enjoy for some time after, arguably making the reinforcement stronger. Sometimes though you want to give a quick treat and then move on: this should still ideally be something special, rather than a piece of kibble from their normal food. You will have to find the best training treat for your dog, but we suggest you may want to consider liver dog treats as a quick treat to be given and wolfed down or you could try a variety of dog biscuits. Something like a pig’s ear and other dried natural dog chews will last a long time. A milkbone dog treat or a dental treat will not only be enjoyed by your dog but are also very good for them at the same time. 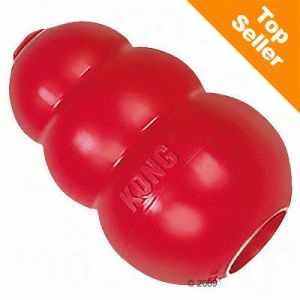 This entry was posted in Dogs, Tips and tagged dog training, dog training treats, dog treat ball, dog treat dispenser, positive reinforcement, training treat by zooplusuk. Bookmark the permalink. I give my dog treats while saying “good girl!” after she obeyed me as part of her training. I feel she already “knows” how to behave properly but there are times she would do tricks (without me telling her) and expect a treat! I know she expects because she won’t stop barking and looks at her treat jar until I give her a piece. Is she addicted to treats and how can I reverse it? Such you shared with us valuable information. I appreciate you for this informative blog for us!! Dog training using almost entirely positive reinforcement, teaching your dog to learn.There are many differnt element to provide while dog trainning.